Since 2003 the Santa Barbara Education Foundation has been Keeping the Beat – raising funds to pay for instructors and purchase more than 1,300 instruments for local public school music programs. Make a donation to Santa Barbara Education Foundation’s Keep The Beat program today! You gift will go towards the upkeep of instruments donated local school music programs. Do you have an instrument gathering dust? Donate your used instruments to put it directly into the hands of a student in a local school music program. Contact us by email or call 805-284-9125 to donate today. Thank you to all who supported the Keep the Beat Radiothon with 99.9 KTYD! In an effort to support public school music programs, 99.9 KTYD Morning Mojo’s Lin Aubuchon and Bill Pesso broadcasted live for two days to ask for cash donations and instruments for Santa Barbara’s students. The Keep the Beat Radiothon brought in over 120 instruments and $12,000 to help fix and maintain the donated music makers. Thank you to who supported during the Radiothon! Thank you to our Keep the Beat Radiothon sponsors! You probably know that music education has been proven to raise self-esteem and hone creativity. You probably know that music education develops critical thinking, creative problem solving, and teamwork. And you probably know music education helps students achieve in other academic areas such as science, math, and reading. But did you know that music majors are the most likely group of college grads to be admitted to medical school? Research reveals strong correlations between quality music education in school and academic achievement. Not only that, music keeps students engaged in school and less likely to drop out. These are just a few of the reasons the Santa Barbara Education Foundation believes so strongly in preserving music education in the schools. In 2003, devastating budget cuts threatened the elementary instrumental music program. Thanks to the response from local and regional funders, the Santa Barbara Education Foundation was able to raise over $500,000 to keep music education in Santa Barbara’s public schools. Today all K-6 students are receiving one 30-45 minute lesson each week with a credentialed music teacher with curriculum’s that align with the California Standards for Visual and Performing Arts. K-2: Orff based instruction in music, singing, rhythm, and movement. 5th grade: Instrument of choice. Students may continue on violin, switch to another string instrument, or begin on a band instrument. 6th grade: Students will continue to play the instrument they chose in 5th grade. 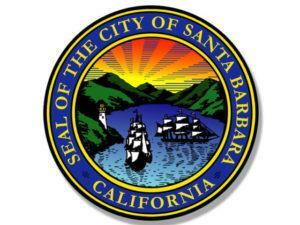 With support from the City of Santa Barbara.